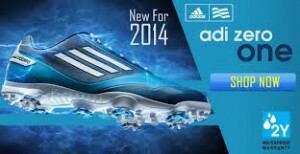 $40 OFF The New ADIZERO ONE Shoe!! Come into the Pro Shop and purchase your pair of the Brand New Adidas Adizero One Shoe for just $159.95 down from $199.95! That’s $40 Off the regular price!! We have full size run’s in stock, so come on in and be the first to own a pair! !